Kaitlynn Fratz, Garrett County's "Most Prolific Scorer"
Kaitlynn Fratz graduated from Northern High School in Garrett County in 2011. At this writing she has the distinction of being "the most prolific scorer in Garrett County high school basketball history." This includes both boy's as well as girl's basketball, with records going back to 1953 with the opening and first graduating classes of both Northern and Southern Garrett County high schools. — CALIFORNIA, Pa. — Kaitlynn Fratz, the most prolific scorer in Garrett County high school basketball history, recently scored her 1,000th point of her college career. Having transferred to California University this year, Fratz scored her 1,000th career point in a game against West Chester University on Dec. 17. She reached the milestone during a 21-point night, during which she hit 7 of 9 field goals, including 4 of 5 three-point shots. Fratz, a junior, played two years at Pittsburgh-Johnstown and was the team’s starting point guard. This year she is playing the No. 2 guard position for California. In December, Fratz averaged 16.2 points per game, made 11 three-point goals and shot 55 percent from the floor. Fratz was a two-time Times-News Player of the Year (2010, 2011) and led the Huskies to area championships both years and to second place in the Class 1A?state tournament in 2011. She scored a Garrett County record 2,103 points while at Northern. Fratz is a communication major at Cal and was named to the Dean’s List in the fall semester. She is the daughter of Steve and Tracy Fratz of Accident. 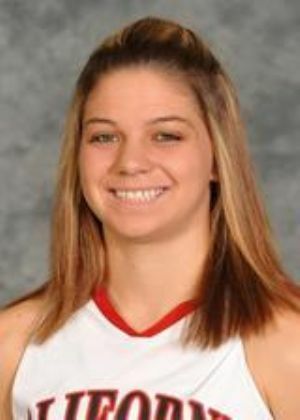 On March 27, 2015 Kaitlynn Fratz led the California University of Pennsylvania Vulcans to the 2015 Division II Women's Basketball National Championship with an 86-69 win over Cal Baptist in Sioux Falls, South Dakota. Fratz finished her four-year college career with 1,752 points.